There’s an old saying that is particularly noticeable when it comes to the sports car: if it ain’t broke, don’t fix it. 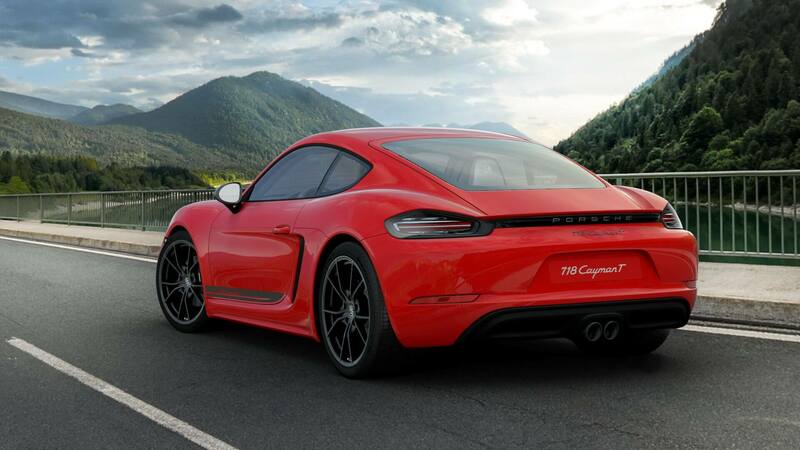 Nothing could be truer of the new Porsche 718 Cayman T. This new touring model is available for 2020, with the Porsche 718 Boxster. Is there a new Porsche 718 Cayman? Well, yes and no. What we have is the standard base model Porsche 718 Cayman, only this time, Porsche have decided to add the ‘T’ as part of a general upgrade project. The T models, of course, date back to the 1960s with the lower-spec 911s, so it is refreshing to see this being applied to a new Porsche 718 Cayman coupé and a Boxster soft-top. What is a Porsche 718 Cayman T? Unlike the 911s of the 1960s, the new T model will be anything but low-spec. In fact, despite the simple interior features, Porsche will charge a premium for this upgrade, which offers 300BHP and 280 lb-ft of torque. 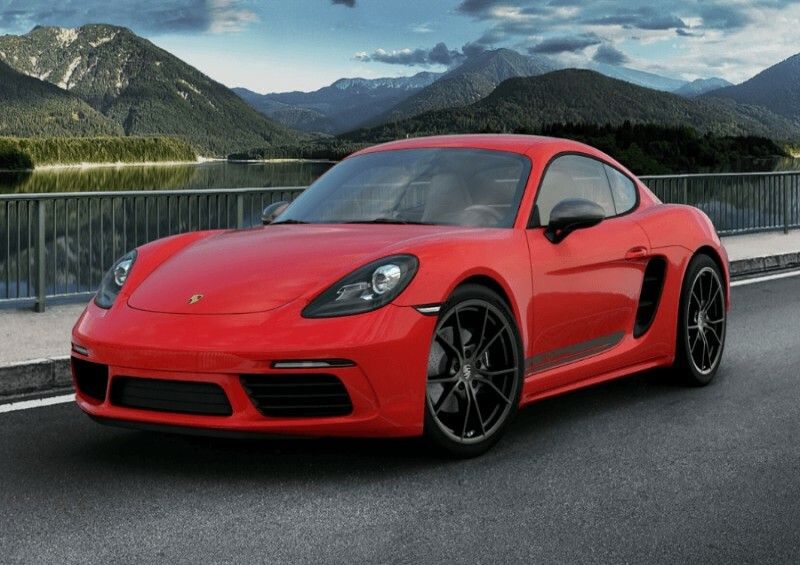 What engine does a Porsche Cayman have? Bolstering this performance on both counts, the coupé and the Boxster, is a turbocharged 2.0-litre engine. The T is complemented by Porsche Torque Vectoring, including a limited slip differential, which means we have a mechanical rear axle differential lock. There’s a six-speed manual gearbox as standard, but we also have an optional dual-clutch PDK seven-speed transmission, if desired. In essence, what we have is a new T variant using the sports chassis that previously was only available on the top line S models. What is the Porsche Cayman S, then? It’s another 2.0-litre, four-cylinder engine that’s a little too noisy for its own good. The new Cayman T is a vast improvement. The redline is a comfortably high 7,400 RPM, while we’re reliably informed that when the Cayman hits the US, the engine will roar even louder (thanks to their more relaxed rules on emissions). 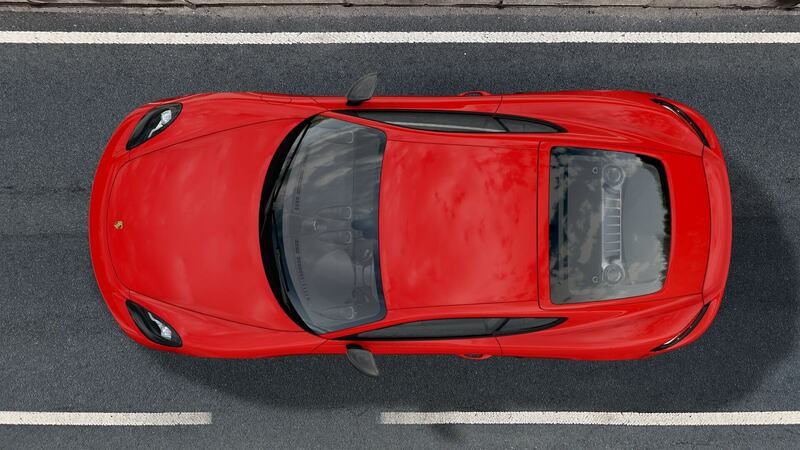 You’ll hit 60MPH at a very respectable 4.2 seconds, and with a top speed of 171MPH, Porsche continues to live up to its reputation. Is the Porsche Cayman T all-wheel drive? Fans of driving on all four wheels may be disappointed to discover that both models are rear-wheel drive, but we do have the full PASM sport chassis, dropping the total ride height by 20mm. It’s a little disheartening to see that many of the best features come as costly upgrades, for example, the Alcantara wheel will come in at £531.00. However, we will forgive the hole in our pocket thanks to its incredible handling, with 20-inch wheels and a whole range of dynamic equipment. There are some interesting design features in the interior – notably, fabric loops in place of the metal door handles that we have seen in other Porsche models. There are also new electronic two-way adjustable seats with a 718 logo embroidered on the headrest. In terms of tech, we have the 260mm GT sports steering wheel, including logos on the instrument dials. Interestingly, Porsche has decided to forgo the infotainment system (we did warn you that this was a stripped-down version!) and have instead included a storage compartment in its place. We’re told this is to save weight, but technophiles can spec a system at no extra cost. How much is a Porsche 718 Cayman T to buy and lease? The Porsche 718 Cayman T price (UK) comes in at £51,545 for the Cayman T and £53,006 for the Boxster. This makes it slightly cheaper than its closest rival, the Toyota Supra. If these prices are a little too steep for you then there’s always the option of leasing a Porsche 718 Cayman T when it comes out. At Complete Leasing, leasing quotes for the new Cayman T are unavailable, but keep an eye out on our social media platforms for updates in the future! 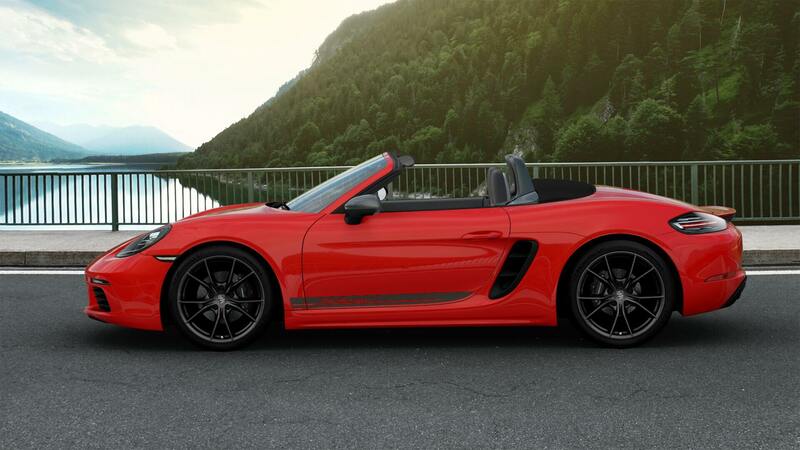 We do, however, have some of the best current Porsche 718 Cayman lease deals available in the UK, coming in at a little under £700 per month on a personal leasing contract. On a business lease, costs for the 718 Cayman come in at around £617 + VAT per month. We also have other models available to lease now - take a look at our Porsche leasing deals here! If you lease the sports car for, say, three years, you would save half the cost of the price it is to buy it outright! 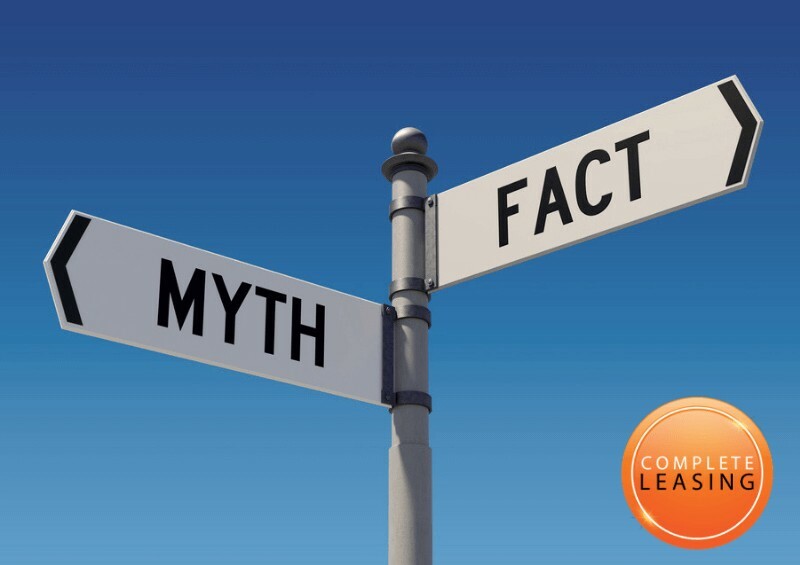 Plus, you don’t have to worry about depreciation either, meaning you don’t lose money or have to worry about selling it on when you’re finished with it. Double bonus. Though there’s not a great deal of change when it comes to the new T marque on the Cayman, the changes we do see are indeed welcomed ones. Lesser engine noise gives a more refined performance, while others might see the lack of infotainment system as a plus – fewer distractions gives us more time to go out on the open road. We suspect there may be a six-cylinder version in the pipeline at some point, but for now, we can appreciate the minor design tweaks and overall improvements that come with the coupé and the Boxster. Even at its most basic, the excellent handling and top speeds are more than enough to satisfy us.